First, thank you all for sharing your learning stories! It was heartening to read about all the education going on, formal, informal, accidental and incidental. I'm a retired teacher, and I always like it when people tell me their learning stories. There is a wealth of resources within the comments - websites, books and personal experiences - so please browse there for more things to learn and new ways to learn them. Second, we have a winner! I learned how to piece curves from a library book I can't remember the title of and a bunch of different magazine articles. And I learned from your website that I, in theory at least, could come up with my own pattern. Haven't tried that yet, though. Congratulations, Michelle! I've sent you an email! Confession: I was supposed to close the giveaway at midnight but it was 11:53 pm and I was sleepy. Sorry if anyone commented between then and midnight. 1 I don't like it as much as I like making cardboard stuff. This is primarily because sewing is mutually exclusive with young children participating (if you want them to be safe, that is), while making cardboard stuff allows full children participation. And I always like full children participation (as if I can avoid it, anyway). 2 I still find it excruciatingly difficult to buy fabric online. I have a gift certificate for a very fun online fabric store stuffed with designer fabric and I haven't been able to use it. I've tried at least ten times but everything has prints on it and I loaded and unloaded my shopping cart and I still haven't bought anything. And no, I am not going to give the cert. to any of you. I am going to make myself use it or die trying. Nothing like working at one's shortcomings and overcoming them. 3 All the fancy needles* I bought this year have increased my enjoyment of the sewing process. This is the first year in my life that I've used needles other than Universal and Stretch (which came free with my sewing machine). Best low-cost investment I've made as far as sewing improvement is concerned. 4 I cannot do any decent sewing in the summer. So I might as well not even try. 5 Pattern-developing is hard work, and anyone who has made a pattern for sale and who felt like she/he wanted to charge $50,000 for each copy simply for all the hours of work that went into it, is perfectly rational. 6 It is worth serging (and first getting all three children into the car to go out to procure) clear elastic into the shoulder seams of knitwear (like a Tshirt-style dress) to avoid the stitches breaking later after the children have worn them 100 times. 7 Children really prioritize twirlyness in a dress/skirt over any other feature, including color. 8 If you go to JoAnn on the weekends, good luck to you. Bring a book. 9 I am quite happy to wear ill-fitting store-bought basics like Tshirts if it means not having to sew them myself. Ironically, when I see substandard-fitting clothes on my children, I feel I have failed them as a mother. 10 I've re-learned drafting. Most of it was by just bumbling through what I thought I knew from childhood, and making myself quantify the rules. But I got a great kick-start from Mum and Auntie Laura, and along-the-way support from Jen, who did the drafting series with me. Not a lot from books, I'm sorry to say. Partly not my learning style, but mostly because I haven't yet found a book that read like a teacher willing to answer dumb questions. 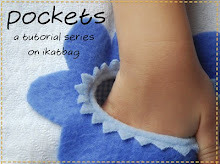 Fourth, I am going to start a new tutorial series this month all about pockets. There are 26 different pockets to learn to make - from easy-peasey patch pockets to Oh-I-Feel-Like-A-Real-Tailor types like bound double welt pockets with flaps**. Whoo! * Except wretched Wing Needle. It is likely that I didn't use the right weight of linen, which is not really any consolation, either. ** I don't actually believe that's their proper name. I threw those words together because they are separately accurate and, combined, sound fancy. You know, like I-N-V-I-S-I-B-L-E -Z-I-P-P-E-R. Which reminds me: my sewing goal next year should be to learn the proper names of things, beginning with the parts of my sewing machine that I now fondly refer to as The Round Underground Bobbin Cave, The Pneumatic Drill That Drives The Needle Up And Down, and The Manual Steering Wheel. Congratulations Michelle! 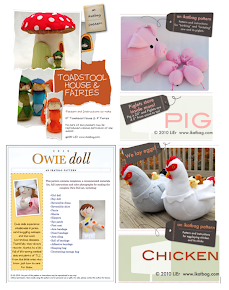 I would love to learn all about pockets! Your list made me laugh! And sympathize. (I'm teaching myself how to sew this year.) Who needs proper names?? I'm promptly adopting your names for sewing machine parts. heeee! And the pocket series is BRILLIANT. Garments must have pockets, but I'm so bored with patch pockets. I did a box-pleat patch pocket, but still, yawn. So bring it on! You've had a good year! I certainly appreciate the wonderful drafting series. My goal for the new year is to go through it again, this time making a sloper for each of my girls. Re: wing needles,I've had mixed results doing hemstitching with a wing needle. I've had much more luck using a 120 needle and tightening my tension a bit. It pulls the linen fibers apart and gives a lovely result some of the difficulties of the wing needle. On a tighter weave I guess the wing needle would be more important, but on linen, the 120 works great. And number 7, twirlyness, too funny -- I just re-learned that too, except I had the audacity to suppose S---- would wear a straight felt "tower" in place of a twirly skirt! P.S. Didn't understand the clear elastic bit. Now that I think about it, I've noticed that in my store-bought T-shirt seams sometimes, but how does it keep the stitches from breaking? Congratulations to Michelle, but the real treat for all of us is the promised new series! Wow!